tags: Martin Luther King, racism, African American history, holidays, activism, Jr. 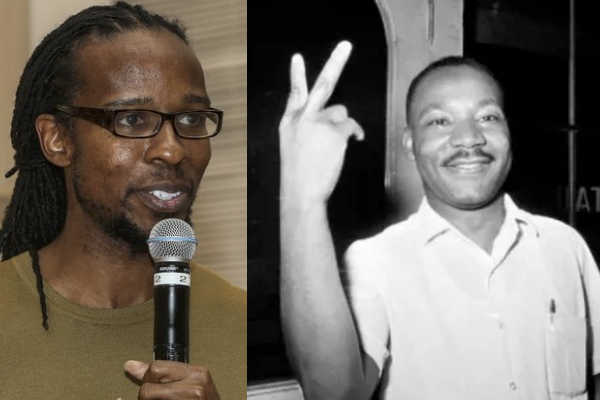 This past Wednesday, historian Ibram X. Kendi spoke about Dr. King’s nightmare and legacy at the George Washington University. Dr. Kendi is the founding director of the Anti-Racist Research and Policy Center at American University. His book Stamped from the Beginning: the Definitive History of Racist Ideas in America won the 2016 National Book Award for Nonfiction. How To Be An Antiracist, his next book, will be released this August. Most frequently, Kendi argues, Americans use this holiday to remember and celebrate Dr. King’s famous speech. We remember his dream that his four kids “would not be judged by color of their skin but by the content of their character.” By focusing on this particular speech, Americans are celebrating what Kendi calls “the march of America’s progress.” We discuss how far we have come and assess how far we still have to go to reach King’s dream. The United States, many conclude, has been on a steady march towards racial progress. In writing Stamped from the Beginning, Kendi pondered if the analogy of the “march towards justice” was historically accurate. Eventually, he concluded the narrative is widely ahistorical. In actuality, there has been a dual march—one of antiracist progress and one of racist progress. If King’s dream symbolizes the glories of racial progress, then King’s nightmare symbolizes the inglorious march of racist progress as people build and rebuild more sophisticated barriers to exclude and exploit people. While Americans hail King’s dream and our march towards justice, we have largely ignored and denied the simultaneous nightmare of racist advancement. We as citizens and scholars must reclaim this nightmare, Kendi urges. We must recognize both King’s dream and his nightmare as part of his legacy. We must consider King’s nightmare as a symbol of racist progress that conservatives too often dismiss and liberals too often downplay. With this “solid realist” notion of American history, a clearer path towards antiracist activism and policies can emerge. Recent efforts to “Reclaim King” have encouraged historians and the public to recognize King’s radicalism in the last years of his life. Scholars and activists have countered popular narratives that use King’s legacy to encourage racial colorblindness and “American moderation.” Dr. Kendi encourages Americans to study King after the March on Washington and after Selma. King’s activism, he remindes us, included his criticism of the Vietnam War, his housing desegregation work in Chicago, the Poor People’s Campaign, and calls for a human rights revolution. To Kendi, the fact that King was very different in 1963 and 1968 is what is most inspiring about King. King was able to self-reflect, self-critique, and grow as an activist and thinker. By 1968, Dr. King had transcended the category of liberal or conservative. Today, Kendi argues that our choices as a people are much more eternal and fundamental than liberal or conservative. There are lies and truth—and we must be truth. There is war and peace—and we must be peace. There is hierarchy and equality—and we must be equality. There is exploitation and love—and we must be love. There is racist and antiracist—and we must be antiracist. Kendi believes that over last year, we’ve witnessed King’s nightmare in its totality. Nevertheless, we must learn from history and not necessarily despair. Even in the nightmare, King did not lose hope. 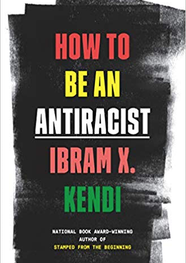 Cynicism is the kryptonite of change, Kendi urges, and the nation is not lost as long as we continue to believe change is possible and keep the “long, bitter but beautiful” anti-racist struggle alive.